Twitter UK has partnered with Global to launch its an original live programming show with PopBuzz. 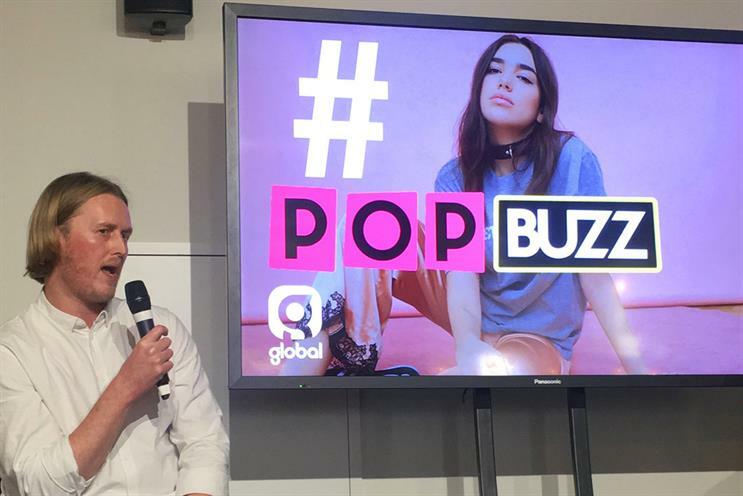 #PopBuzzPresents will be a weekly 30-minute music show, broadcast live from Twitter’s central London HQ. Focusing on a millennial audience, #PopBuzzPresents will present an opportunity for brands to reach audiences by sponsoring premium video content at scale, Charles Ubaghs, head of social at Global said at Twitter's 2017 IAB Digital Upfronts event today. "Premium quality, brand-safe live content is a real priority for Twitter, with more than 1,200 hours shown in Q2 2017 alone, reaching 55 million unique viewers (up from 600 hours as recently as Q4 2016)," David Wilding, Twitter’s director of planning, added. To pair with this ramping up of content, Twitter also announced the launch of in-stream video advertising in the UK. Twitter confirmed its partnership with BT Sport for the Champions League and its show, The Score, which will be streamed live on Twitter every week during the 2017/18 Premier League season. BT Sport and Twitter are also partnering for The Ashes taking place in Australia in November. BT Sport will be providing in-game clips and match highlights of the cricket test matches between England and Australia. There will also be a package available for the England Rugby Autumn Internationals with Sky Sports in November that focuses on real-time, in-game highlights. Twitter also confimed the continuation of it deal with Sky to live-stream the Premier League transfer deadline days next year in January and August. Lynx has already signed on as brand partner for the match between Anthony Joshua and Kubrat Pulev on 28 October. Sky Sports will be providing the clips from the week leading up to the the fight and we are delighted to announce that Lynx will be the brand partner. Besides #PopBuzzPresents, Twitter is also working with Bauer on a bespoke sponsorship package with Empire magazine to provide exclusive live access at the premiere Star Wars: The Last Jedi, including interviews at the junket and in-depth analysis of the new movie.